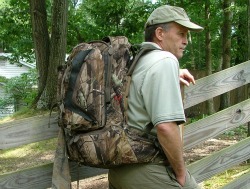 There is a new page up at ElkHuntingTips.Net about Backpack Hunting. Casey Albert continues this series by sharing his many years of experience hunting in the BackCountry. With this new page he explains what he has learned through the years about what to carry and what not to take along on those expeditions with “camp on your back”. Casey is very detail oriented. Through trial and error he has whittled down his backpack hunting gear list to include the most efficient and needed items. He even details where he puts each item. For several years he has kept and improved lists of what he takes and the most effective places to pack each item in his backpack. Instead of learning the hard way what works well for you, let Casey give you a huge head start on the learning curve. Even if you have done backpack hunting for years, you might find some new ideas on Backpack Hunting. If you have a better idea, please feel free to contribute it at the bottom of that page (or any page on the site, for that matter). There is always more to learn. That’s what this site is all about. We can all learn together to “make elk hunting more successful, comfortable, enjoyable, easier and safer.” The ultimate goal is “close encounters of the herd kind”. ASAT, our favorite camo pattern, ran out of some items this summer because of the high demand for the ASAT pattern on the available high tech materials. Starting the end of July and into August the inventory has been getting replenished, just in time for archery openers. The FirstLite products are all stocked up. The Elite Performance Series is another excellent choice. Of course, the more economical ASAT Cotton Series has the same game-fooling pattern, as well. The very popular ASAT Leafy 3D suit is also back in stock in all sizes. We are pleased to be able to provide these products at ElkHuntingTips.Net at a very reduced price. Starting this month, we’ve been kept busy processing orders for ASAT and our favorite bow sling: StringSling from H & M Archery. Those innovative, one of a kind bow slings are flying out of our door daily right now. We appreciate your support of ElkHuntingTips.Net when you purchase these products from our site. We will only directly sell products on the site that we use and think are the best available. You can also support the site by clicking on the various ads, like Cabela’s, Gander Mountain, Sportsman’s Guide, Amazon.com, etc. When you do so, the advertisers share a small referral fee with us at no extra cost to you. Opening day of archery season is less than a month away for most states. Bow shooting practice and proper bow tuning are critical to turn that close encounter into a harvest of a fine trophy and meat in the freezer. If any of you are accomplished target shooters who also can explain how to take that precision shooting technique into elk country, please email us. We would like to have some help writing a page dedicated to that topic. Time is short. Make sure you’re getting fit for the terrain and work you will have to do not only to get into elk country and hunt there, but to haul out a lot of meat when you're successful. 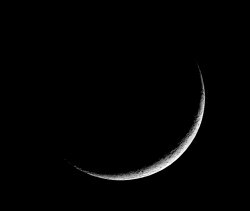 The dark of the moon is very close to the peak of the rut this year. If you can, plan on being out on the days after those dark nights! Enjoy the rest of the summer and let us hear from you. As always, feel free to Contact Us Directly. We enjoy hearing from you and personally answer every message.